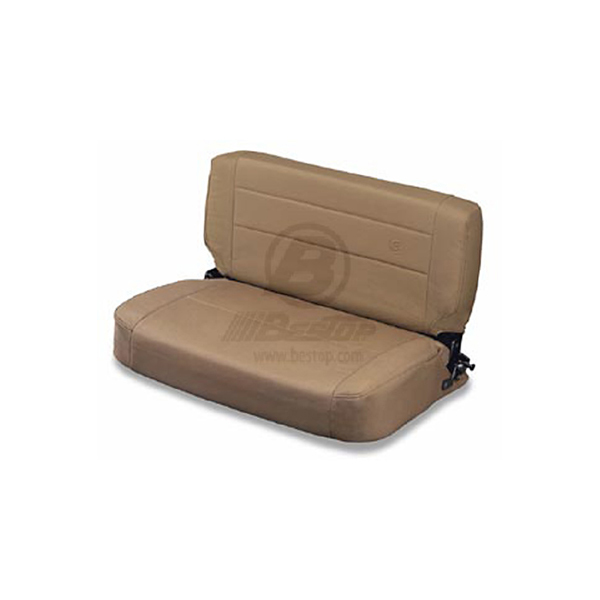 SEAT, SPICE BESTOP REAR FOLD & TUMBLE - Jeep Parts Guy - All the Jeep Parts You Need! All Trailmax™ Seats provide the maximum in seating comfort, durability and safety. For appearance and durability, the premium fabric maintains shape in any temperature. Fabric is mildew-resistant, contains UV inhibitors and is offered in factory any temperature. Fabric is mildew-resistant, contains UV inhibitors and is offered in factory original colors. Atlas Frame is strong and resists corrosion. Seats contain Variable Rate of Resistance (V-ROR) springs for full comfort and support. Ultimate Foam maintains seat shape for years to come ensuring comfort and appearance. Seats are preassembled and include mounting hardware.